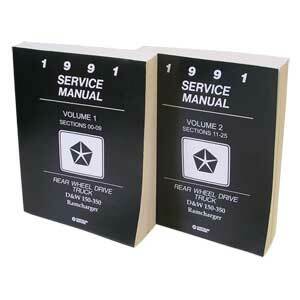 However, there are times when you need the detail of the 1991 Dodge Factory Service Manual (yes, the same one you can order out of the back of your Owner's Manual). The factory manual is the authoritative source for specifications, reuse, wiring, and diagnostics. Every Dodge Turbo Diesel owner who does their own maintenance should have the factory manual. This manual covers the intercooled and non-intercooled 12V engines.